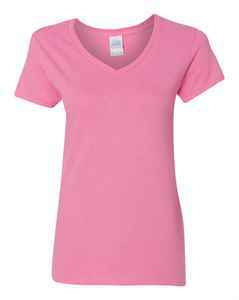 A comfortable choice for everyday wear, this ladies’ V-neck customized t-shirt is a lightweight, 100% cotton t-shirt that features a non-topstitched ½” rib knit collar and a tapered fit to hug your curves. This Ladies’ Style V-Neck T-Shirt is a lightweight and supremely comfortable custom t-shirt for your everyday wear. 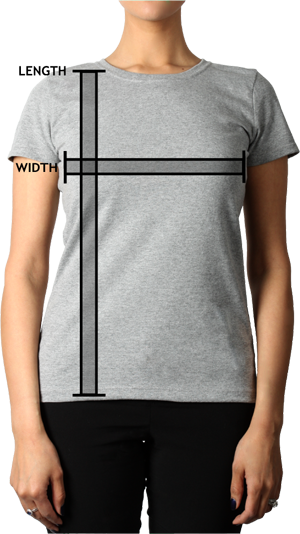 Made with 100% preshrunk jersey knit cotton, this custom t-shirt features a mitered V-neck pattern, a non-topstitched ½” rib knit collar and a stylish tapered fit. Taped neck with shoulders and double needle sleeves with bottom hems provides a polished look to this custom printed t-shirt.